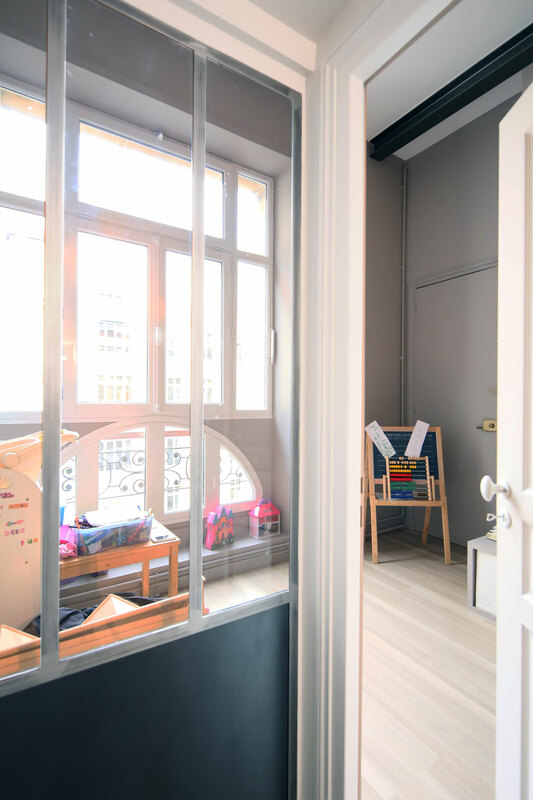 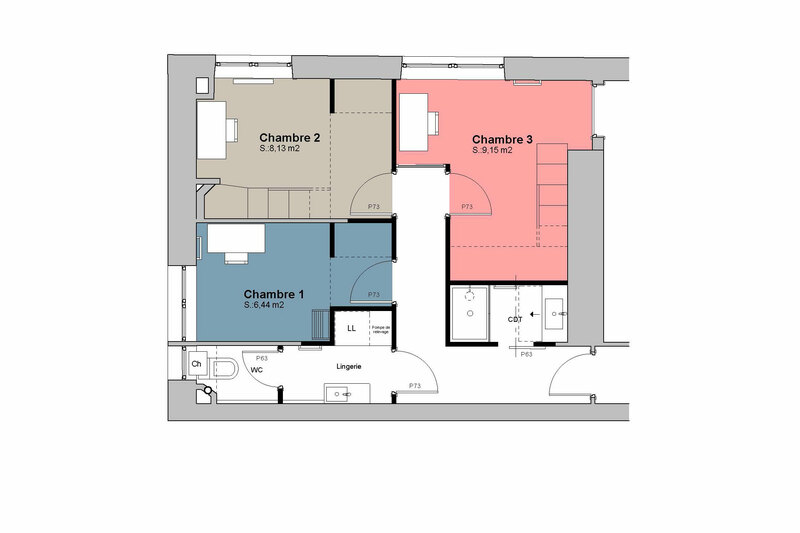 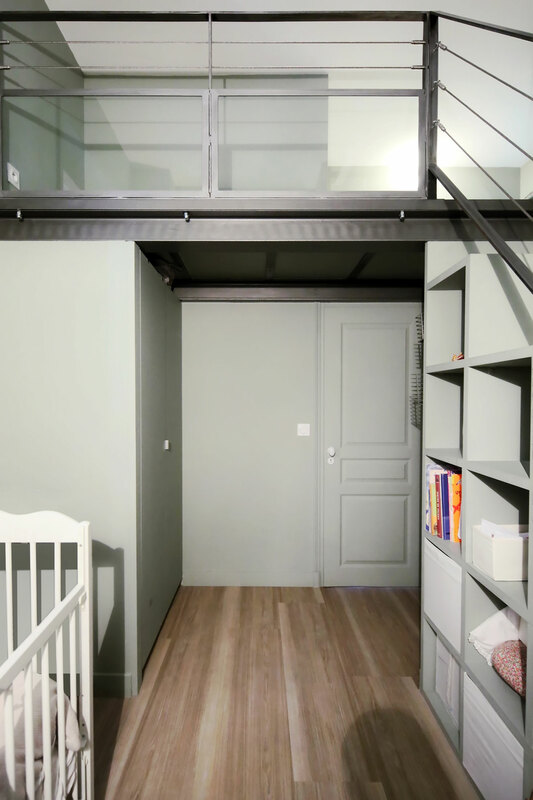 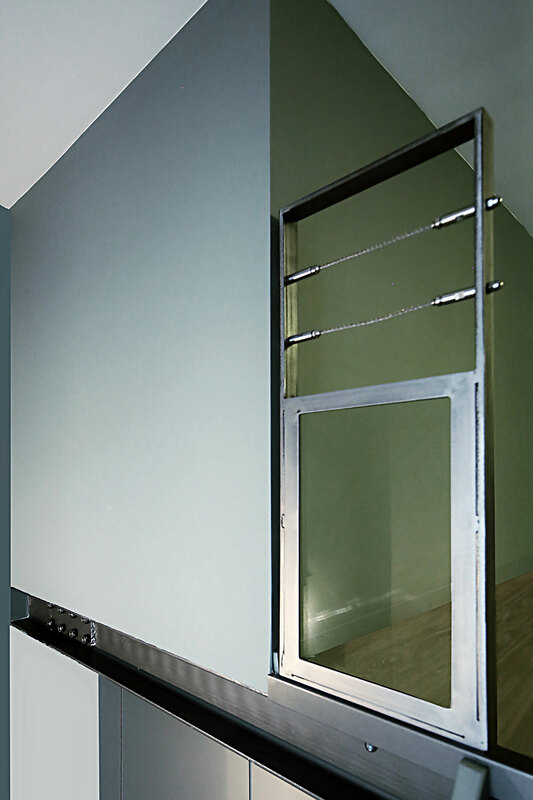 Inside a large apartment, this area that was 6.60 m long, 5.50 m wide and 3.50 m high ceiling creates three kid’s rooms, each with a mezzanine… But also a bathroom, laundry room, and a toilet. 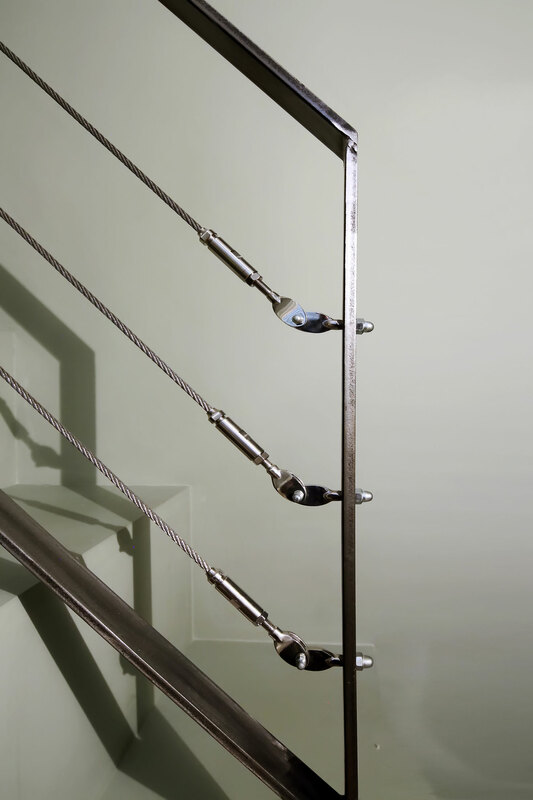 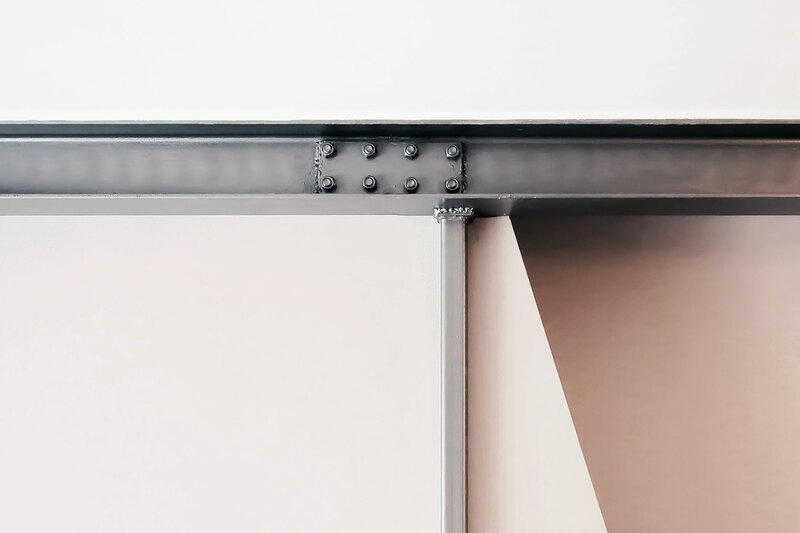 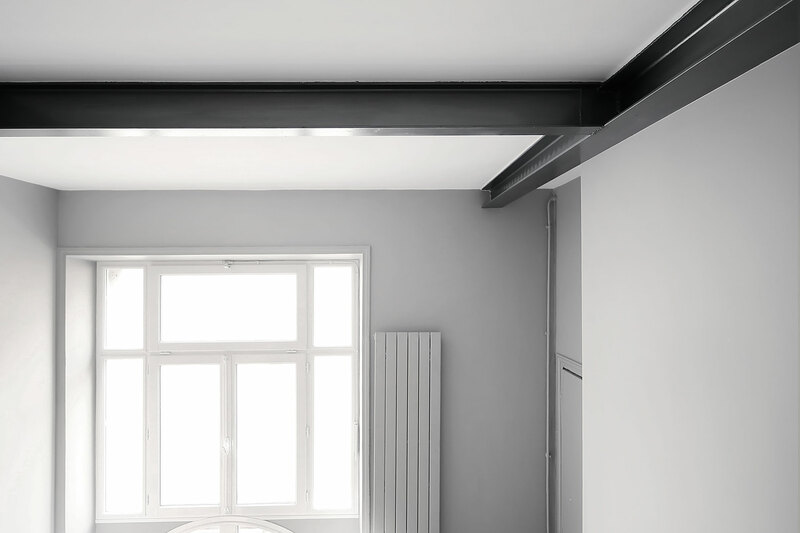 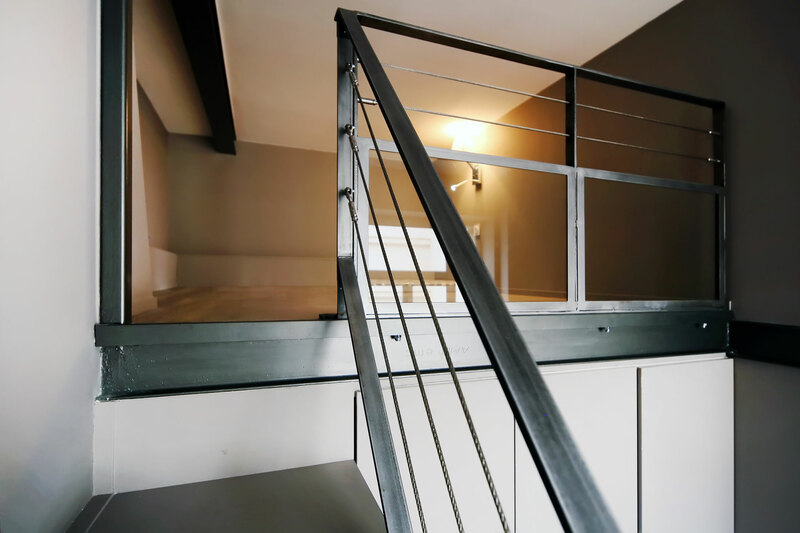 A complex structure using welded and bolted metal beams as support was laid out in the outside bearing walls. 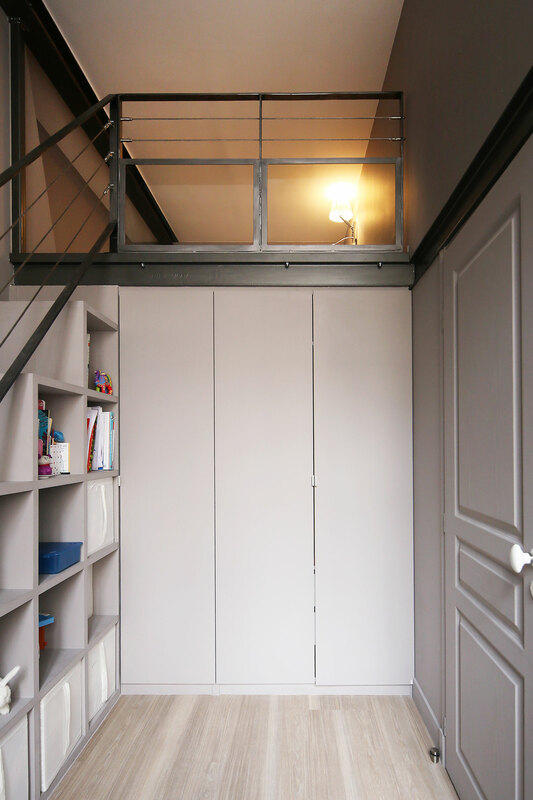 The partitions were made using depolluting cement plates (Fermacell “Greenline”). 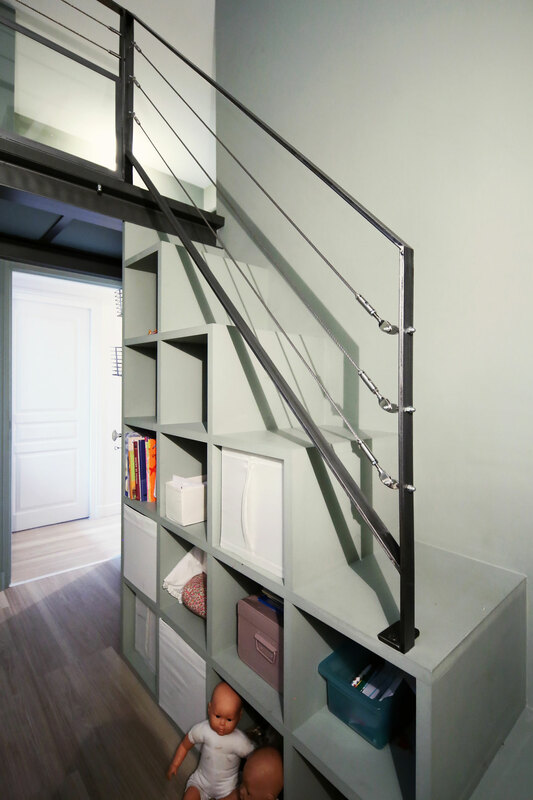 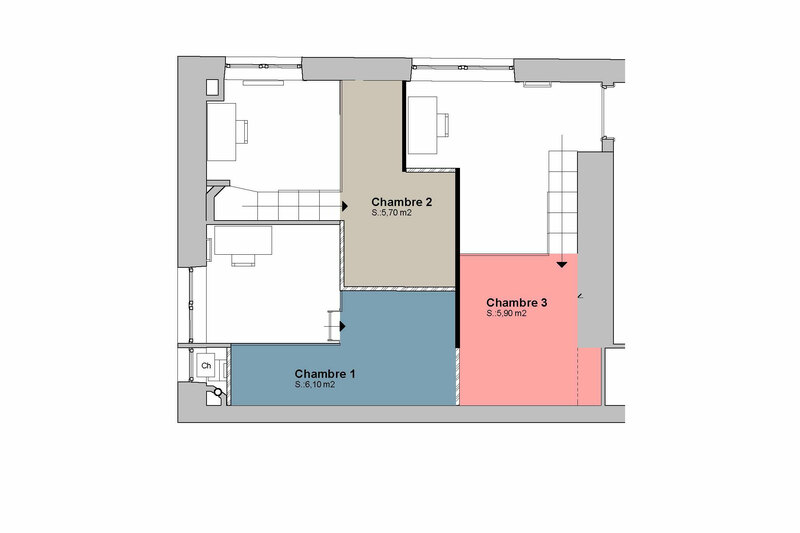 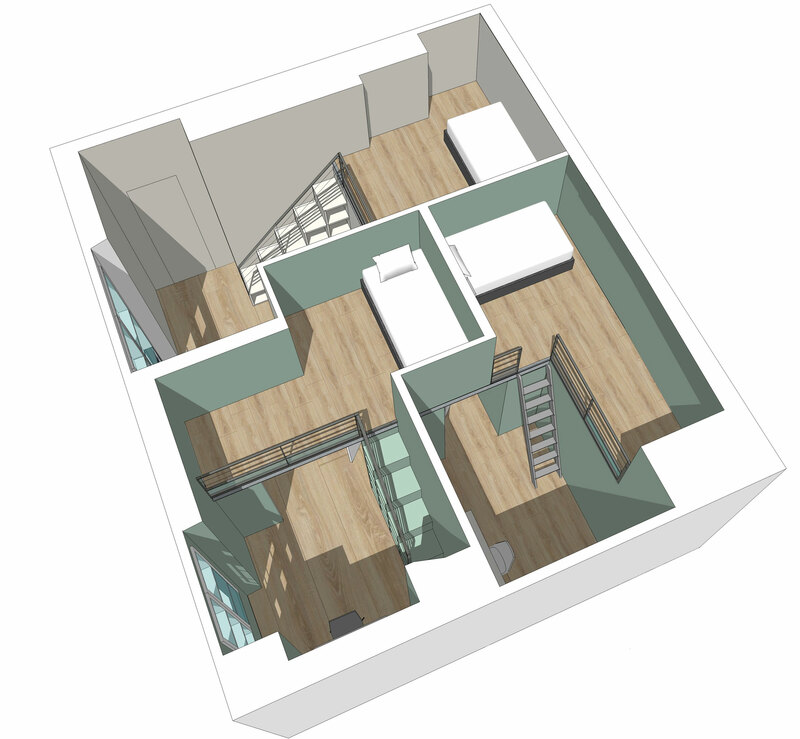 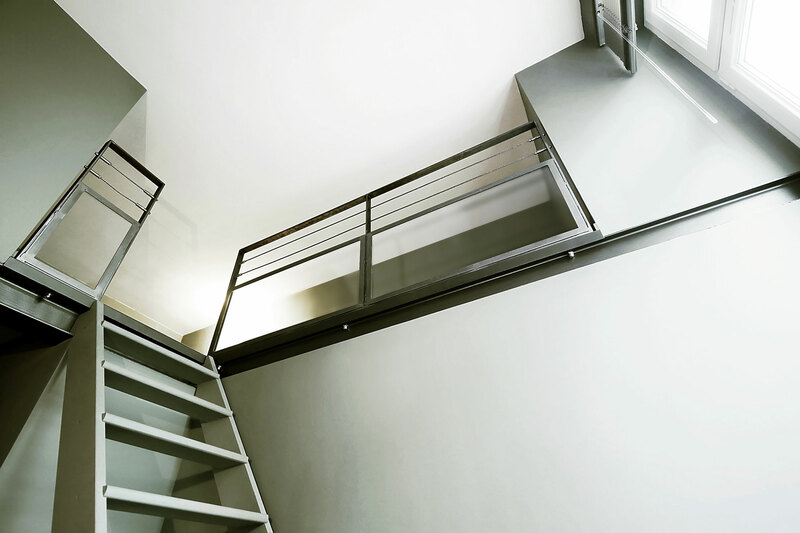 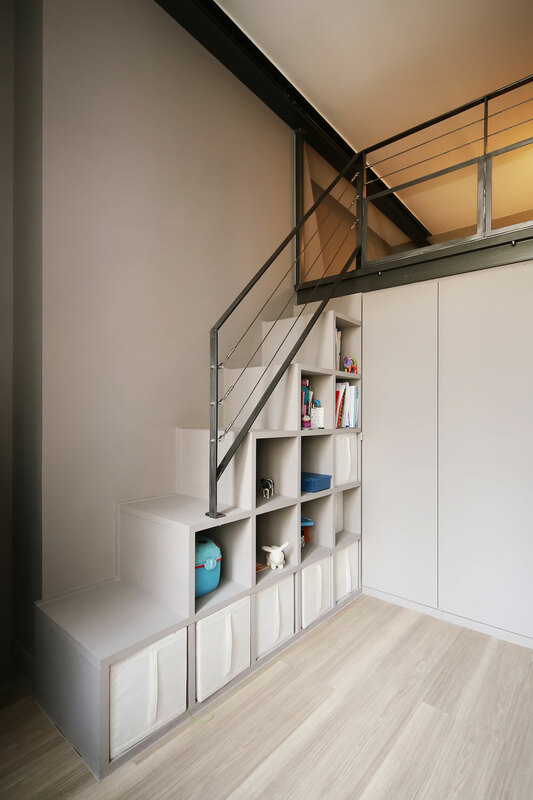 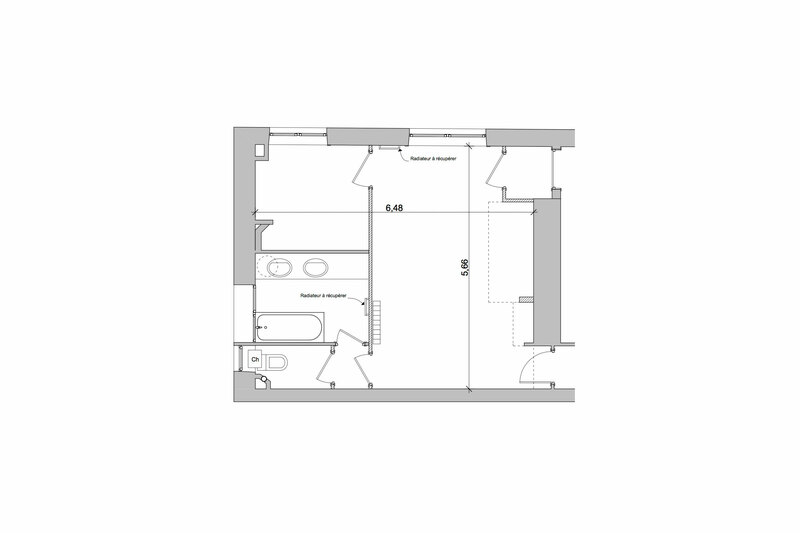 Each room has a bed, extra bed, desk and storage space, some being integrated into the mezzanine stairs.